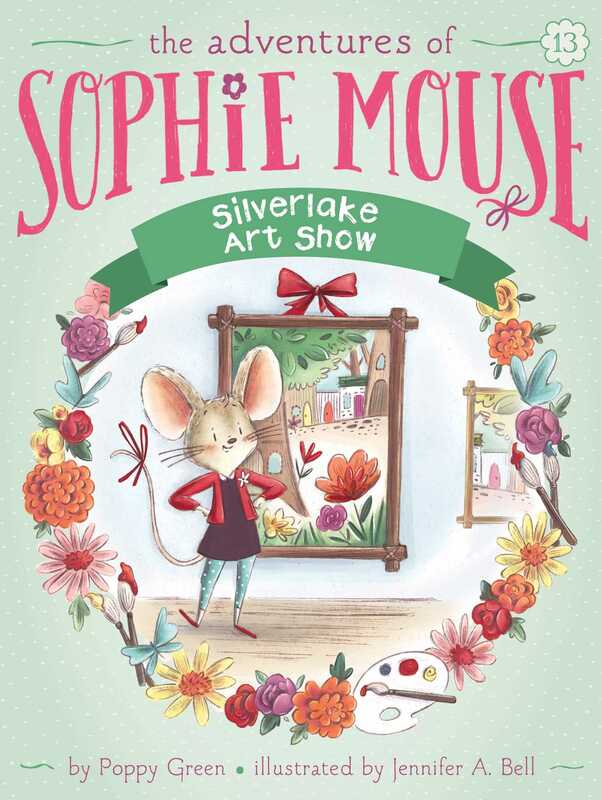 In this thirteenth charming book of The Adventures of Sophie Mouse series, Sophie hosts the very first Silverlake Art Show! Sophie has a brilliant idea: she’s going to host the very first Silverlake Art Show! After all, she loves to draw and paint and she likes looking at art too. With the help of Hattie Frog and Owen Snake, Sophie puts together the whole event. And when the big night comes, she expects to be the star of the show. But she gets a surprise when she realizes…she’s not! Who is this mystery artist that everyone is chirping and buzzing about?